The Associated Student Body Student Senate held a moment of silence during its meeting Tuesday for the victims of the several tragedies, including the terrorist attacks in Paris, that occurred over the past weekend. President David Hylton II made a point of wanting the moment of silence to be for all the tragedies in the world and not just those in Paris. Sen. Regina Drake announced during the public comment section of the meeting that she will be stepping down from her position since she had to drop a class and, therefore, is no longer enrolled in the required number of units for ASB board members. Drake said that she is planning on returning to Senate next semester. The board began discussion on what topic they would like to present to the district on what ARC would like the district to lobby for on Lobby Day in February. Sen. Tamara Dunning suggested that the board support the implementation of mandatory office hours for adjunct professors on campus. The board created an ad hoc committee, with full authority, to explore Lobby Day topics, as well as tabling ideas for World AIDS Day, which falls on Dec. 1. 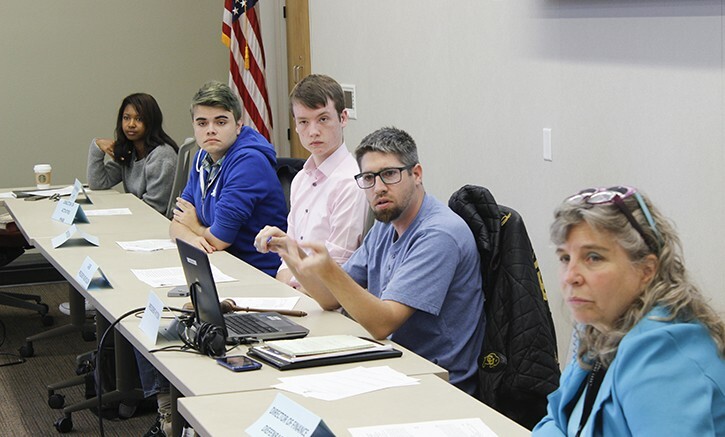 The board, in congruence with the Clubs and Events Board, approved a resolution to create a survey to poll students on the need for more accessibility of American Sign Language (ASL) interpreters. Several board members attended the General Assembly event over the weekend, but decided to hold off on their reports until next week since they didn’t have enough time in this week’s meeting. Be the first to comment on "Senate holds a moment of silence for tragedies in the world"